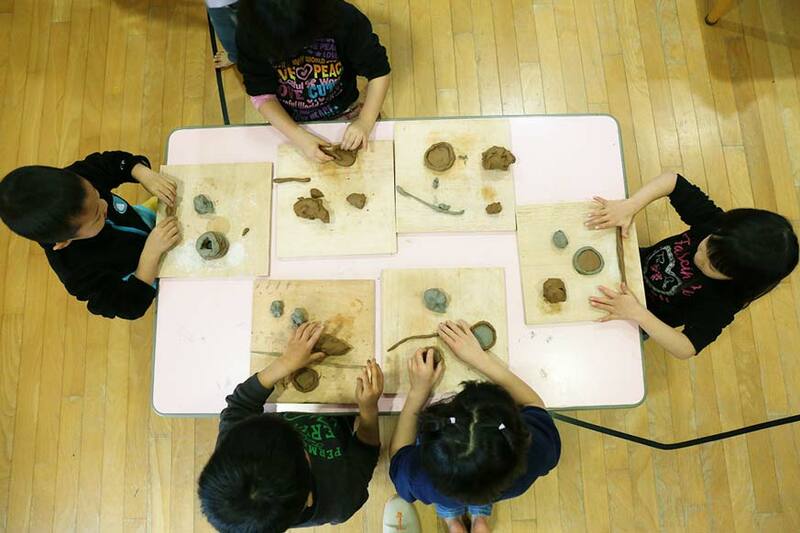 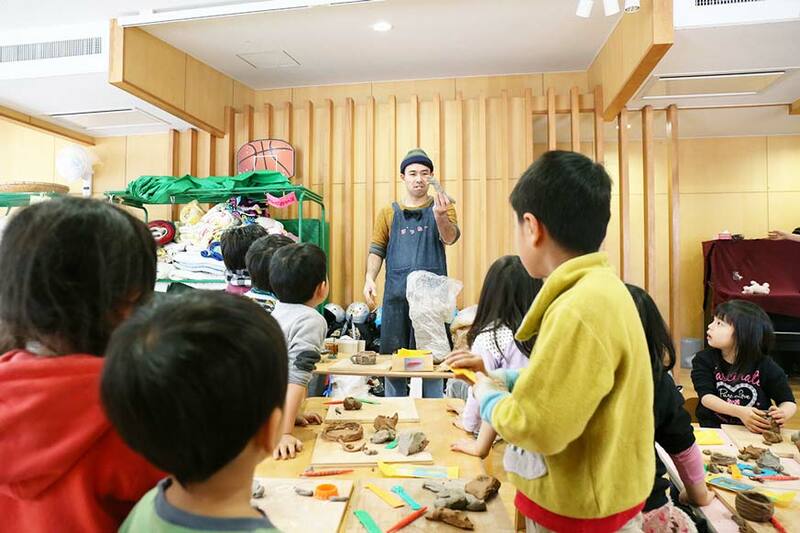 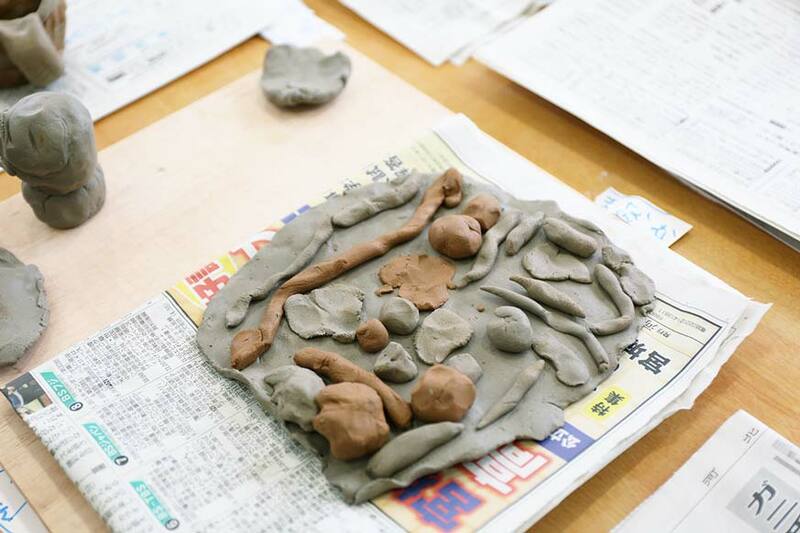 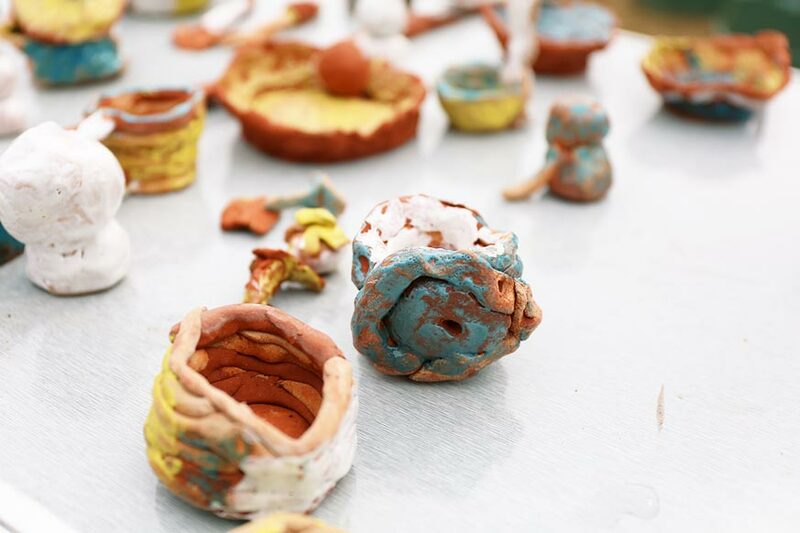 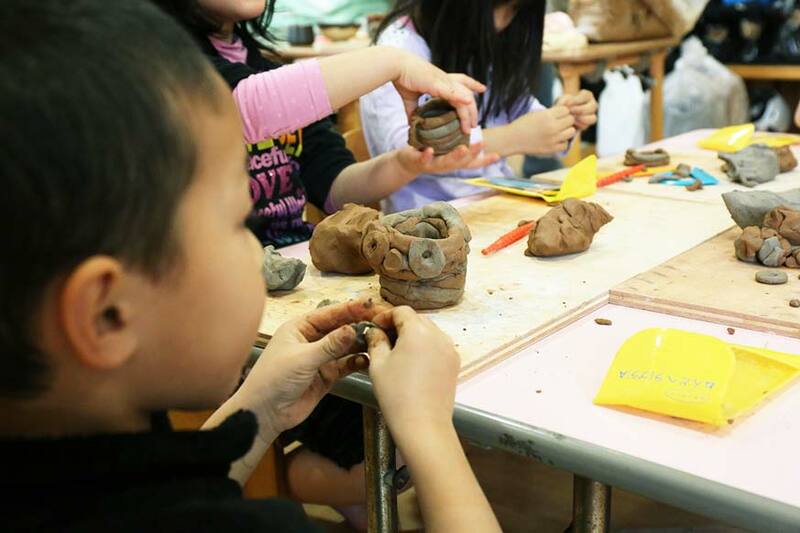 The second edition of this workshop was held in answer to a request from the Oroshimachi Nursery School, Fifteen of the elder children of the Nursery School took part in the event. 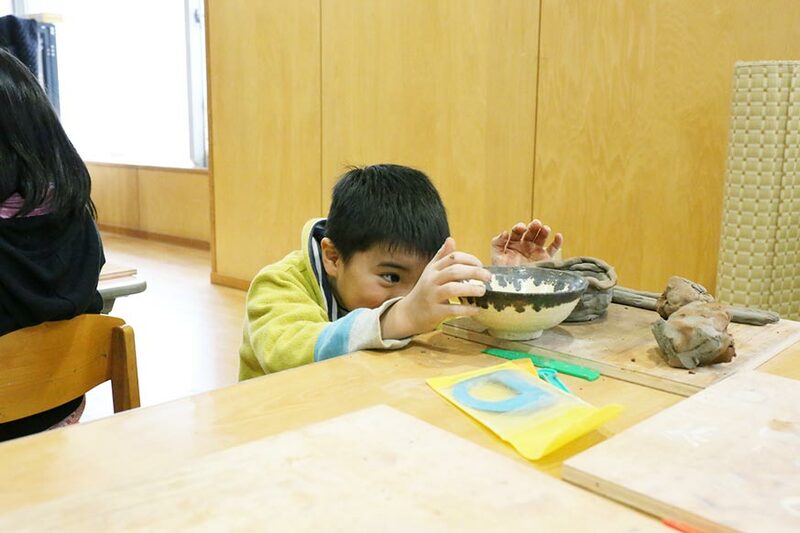 The younger brothers and sisters of those who had taken last year’s workshop as well as those children who had already taken part themselves were looking forward to meeting Potter-san and Potako-san. 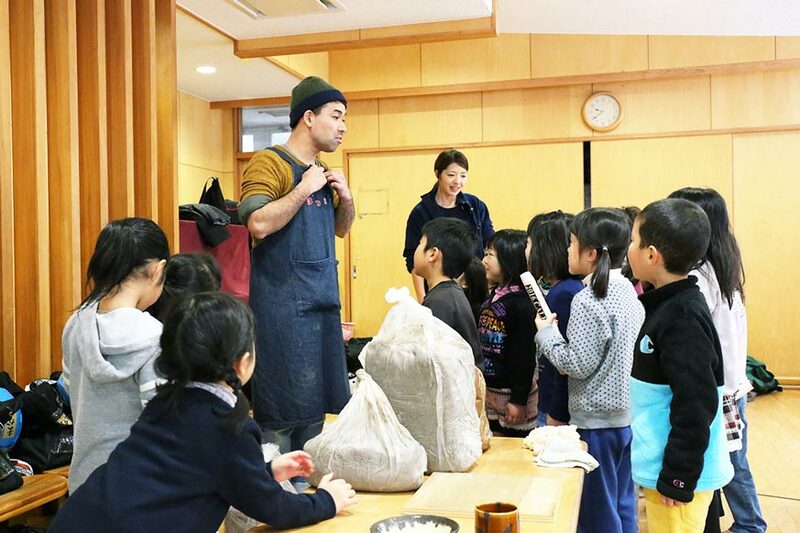 On the day the event was held, the strongest cold front of the season reached us just in time to cover everything in a white coat, but the venue got so heated with enthusiasm that it might have just about been able to melt the white snow. 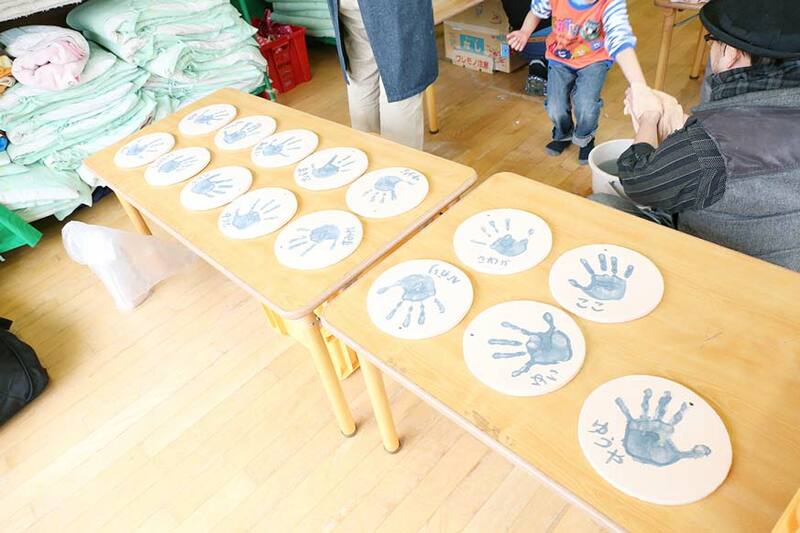 The children who participated this year, compared to those of last year, tended to show greater care with details. 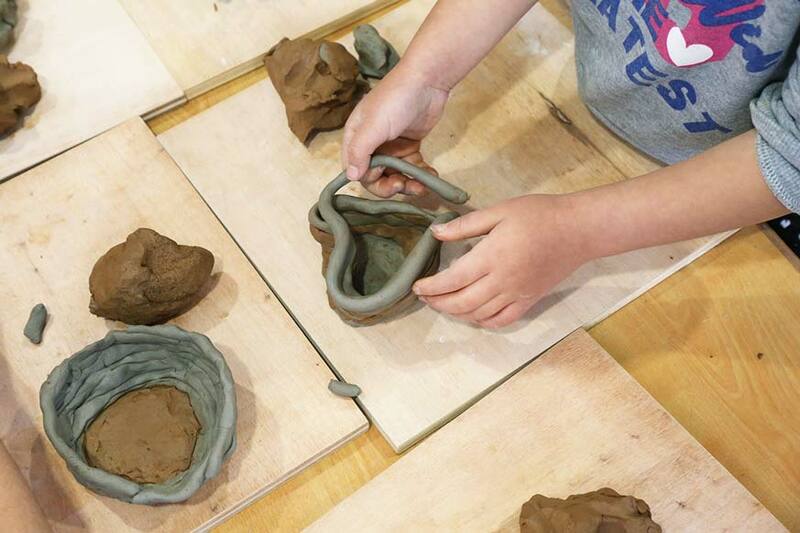 This resulted in a great number of thoroughly worked outcomes. 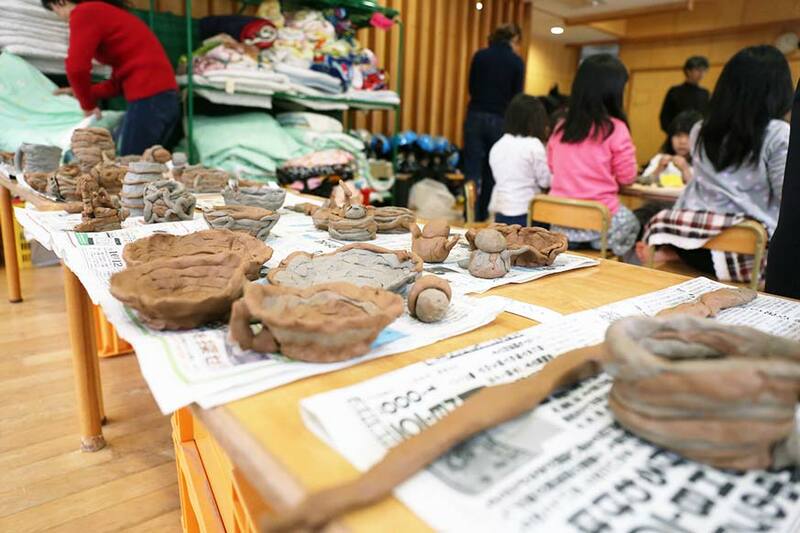 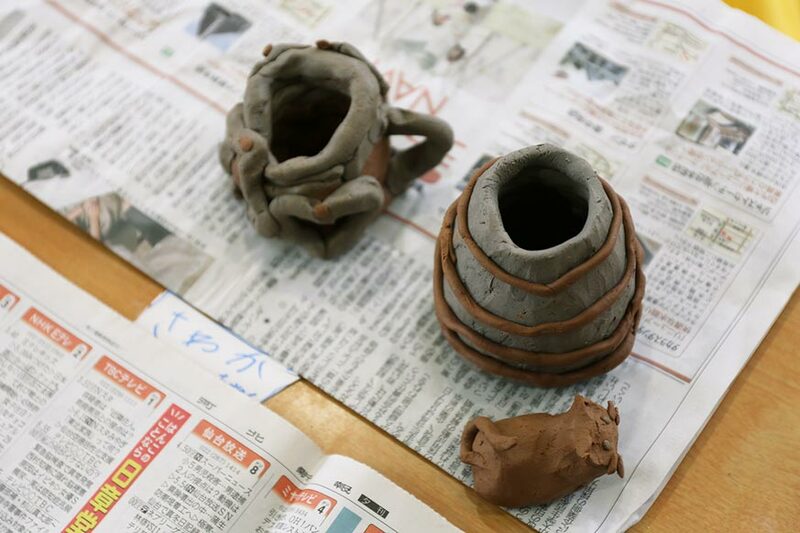 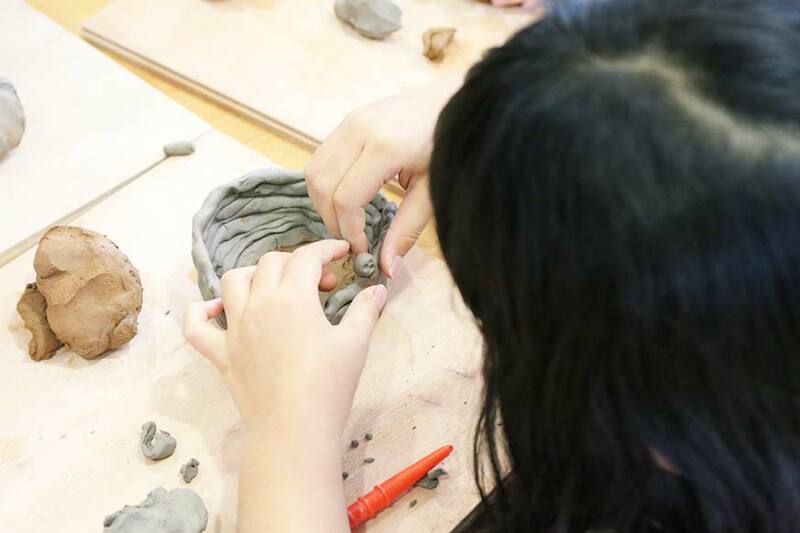 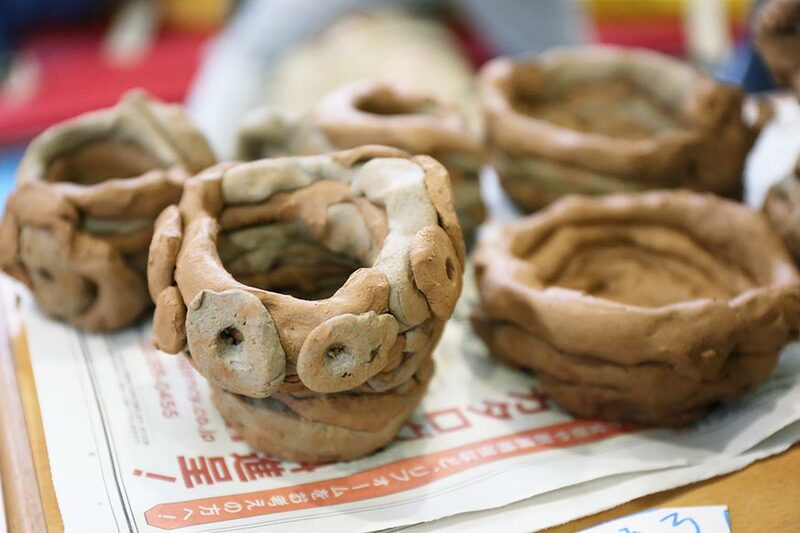 They also listened to Potter-san’s explanation about the two differently colored clay types he had prepared and immediately gave us a taste of their ingenuity. 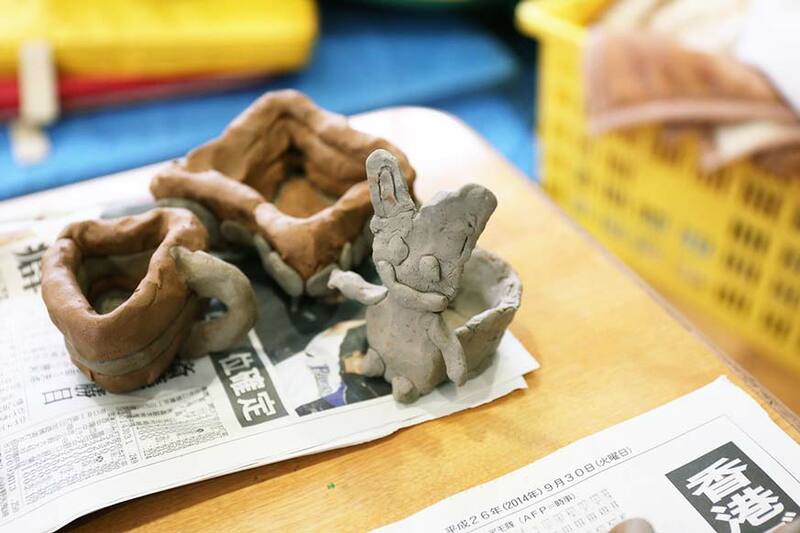 The children who were done with their preparations told us they could not wait to put their creation in the oven.